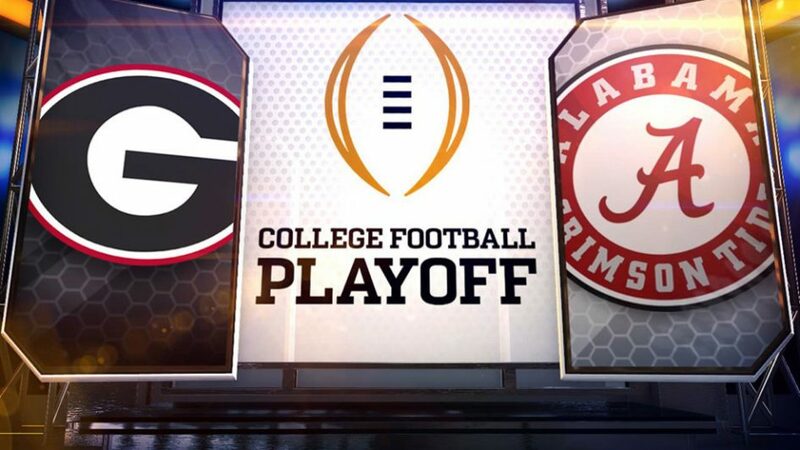 Tonight is the NCAA College Football National Championship between Alabama and Georgia. It is a part of the College Football Playoff (CFP). Last week, Alabama played beat Clemson in the Sugar Bowl and Georgia beat Oklahoma in the Rose Bowl. Tonight’s game is being played on ESPN, which means that there are plenty of ways to stream tonight’s game. Those following methods will be listed down below. WatchESPN: I know that the app has had some issues in the past of buffering too much, but if you have access to it and a good internet connection, then this should work out for you. Live TV Streaming Services: Platforms such as Sling TV, PlayStation Vue, Hulu with Live TV, YouTube TV, and DirecTV Now all have free trials you can sign up for to watch the game. Just make sure to remember to cancel the subscription before you get charged. All of these services are available on the iPhone, iPad, Mac, and Apple TV. YouTube TV is currently not available on the Apple TV or the Mac just yet but is available on the iPhone and iPad. The College Football National Championship starts at 8PM ET on ESPN. Be sure to let us know in the comments below if you will be tuning in! Also, good luck to both teams!